Automobile and safety have been one of the main fields of work for EII. During last year, we were focussing on a project aiming to improve comfort and safety of a car seat. We are now excited to lift the veil from work done. The concept takes something as simple as a seat and tailors it to the need of today’s connected word – adding auto adjusting comfort functions and safety dimension, with sensors detecting sudden illness, drowsiness, fatigue. Imagine, sitting in the car where your seat takes a perfect shape for you, detects and gives notice when you are not in the condition to drive and alarms respective authorities in the case of sudden illness. Until our cars are not fully autonomous, keeping drivers comfortable, alert and safe is extremely important. And at the end of the day, comfort and safety are also needed in the passenger seat. The solution was developed in cooperation with partners from Japan, Italy and Estonia. It consists of the application software and connected seat. The test seat has built-in position feedback sensors, position motors and sensor matrixes. The application software provides a graphical user interface for viewing parameters of seat mounted pressure sensors and interacting with the seat controller. As mentioned, there are two main aims: safety and comfort. The main purpose of the comfort function is to auto-adaptively adjust the car seat to the position ensuring correct posture and safe driving position before the drive. The seat is divided into pressure zones. Auto adjustment of the seat is carried out to the position where the load that driver’s body is applying to the seat is distributed according to the ideal pressure. The main purpose of the safety function is to estimate several safety-related parameters and to visualise them. Tabs are showing the graphs of heart and respiratory rate, and signal quality, current regularity parameters of heart activity for sudden illness detection and spectral indices indicating alertness of the driver. Fatigue tab shows the shift of the centre of mass during the driving session. 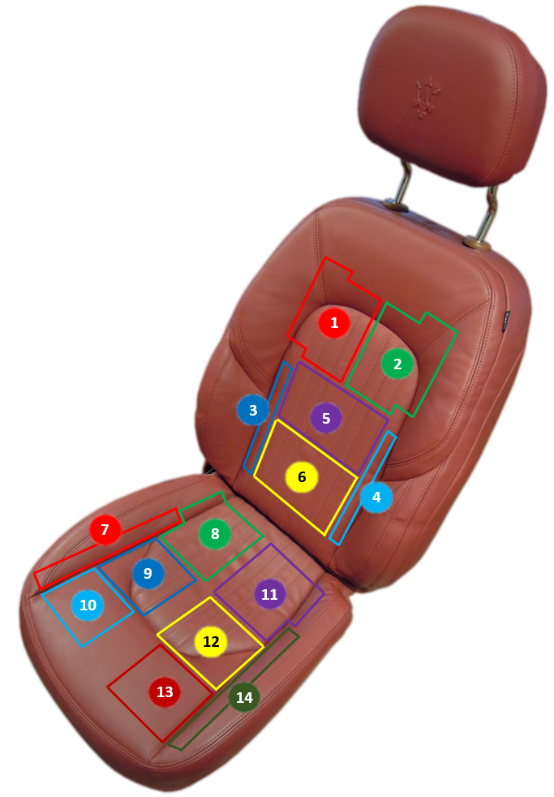 The function uses four extra data channels located on the back side of the sensor matrix of the seat cushion. Testing period showed good results in terms of heart rate detection against PPG. The main emphasis was on developing the signal processing algorithms in order to extract heart activity from the pressure oscillation signal. Prototype algorithms of sudden illness and drowsiness detection were developed. In order to implement driver drowsiness and sudden illness detection, heart activity has to be detected by the sensors integrated into the seat. Pressure oscillation signal obtained from the smart rubber sensors is first ‘cleaned’ with the help of complex digital signal processing techniques to extract heart rate signal. 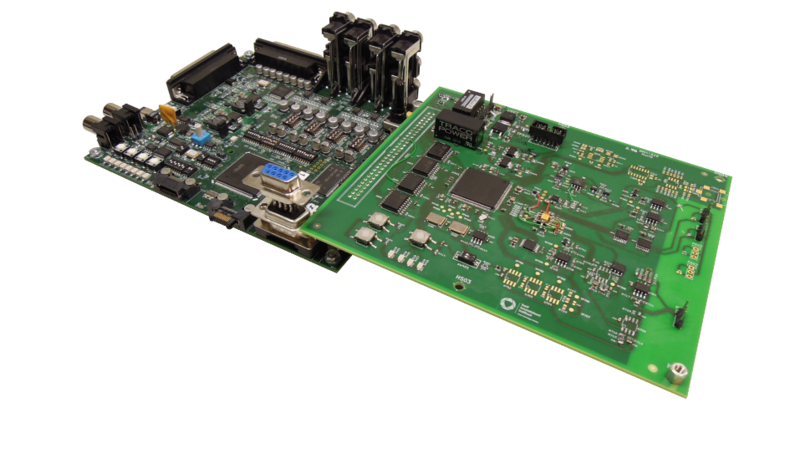 The project has significantly deepened EII knowledge of low-noise analog electronic system design and given even better know-how of signal processing. Gained experience could be used in measuring applications where low amplitude signals must be detected in the noisy environment. At this point, we are talking about your car seat, but the potential use is much wider – starting with driver seats of commercial vehicles and child safety seats to office chairs, and why not monitoring you in doctor’s chair. As this solution potentially does not need any straps or belts, only you to sit down, monitoring ones safety and well-being is much more comfortable and with less hassle. Would like to hear more details? Contact us here.